Toys R Us is hosting a FREE in-store event, Disney's Beauty and The Beast Launch Party, March 25th from 1-3pm. 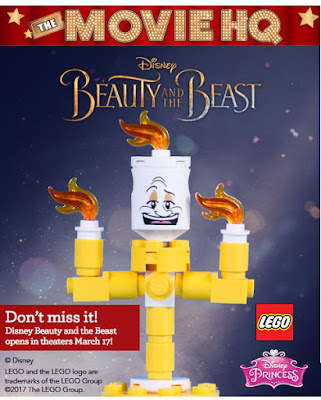 Visit the store for a make-and-take build of a FREE LEGO Lumiere character. There will also be Beauty & The Beast coloring pages along with a special offer. *Excludes Toys''R''Us Express and Outlet locations. Event intended for ages 6-up. Parental supervision required at all times for minors. All giveaways and event materials available while supplies last and distributed to participants only. Limit one per customer. Quantities limited; no rain checks.